There's been much ado about Serena Williams taking to the court again for the U.S. Open after recently becoming a mother to baby Olympia--with media not only reporting about her successful start at the tournament--but also her distinctive fashion choices. 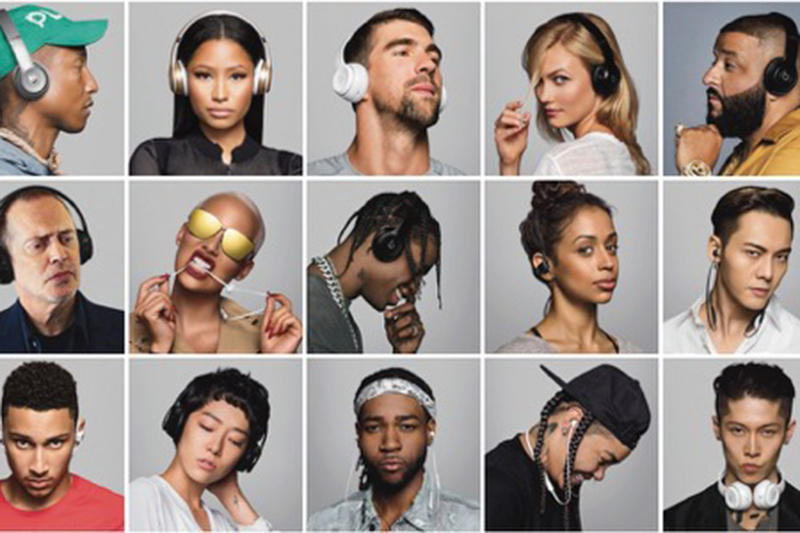 The myriad aspects of her persona are on full display in a new music video-style ad from Beats by Dre, which portrays her as the "Queen of Queens" alongside Nicky Minaj. 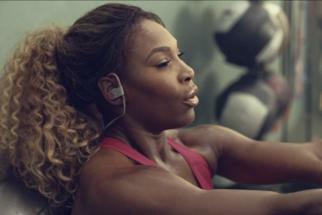 Directed by clips maven Dave Meyers, the spot features the story of Williams as a "conflicted" hero--torn between her roles as mother or athlete. 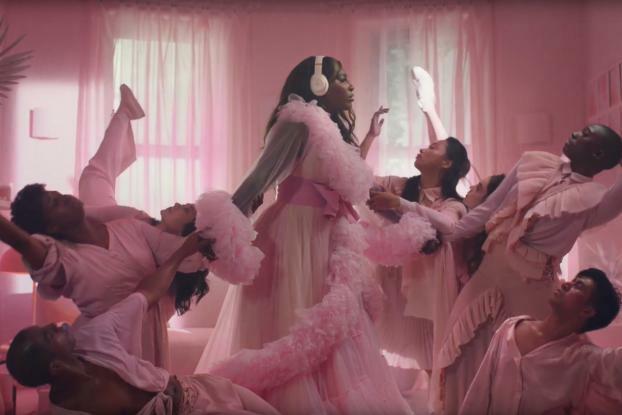 At home she's attired in flouncy pink, the paragon of "traditional" femininity, but then the ad cuts to her at the center of a human tug of war. Her rose-clothed courtiers pull her toward her abode, while minions in black leather yank her toward her other calling. All is resolved, however, when all unite in a single dance routine, and Williams steps forward in a regal blue gown and massive crown. "Now watch the Queen conquer," Minaj recites as the camera zooms in on Wiliams' framed face and a quote reads, "Never before was more greatness foreseen than in the eyes of a woman who made herself queen." Keone and Mari Madrid were behind the choreography. "Women are so often pressured to define themselves as one thing or another--a wife, a mother, an athlete or a career woman," said Williams in a statement. "But, we are so much more than the boxes we place ourselves in. And like all women, what makes me a true queen is all these things… and then some." The spot's concept, she added, is powerful "because it encourages all of us to think bigger and beyond limits or boundaries. It's an inspiring message that celebrates what's possible when we embrace being a queen." The story was inspired by "Majesty," a track from Minaj's new album that recounts how she moved up the ladder in a male-dominated industry. Queens natives Nas and Nigel Sylvester also provide the ad's chorus.